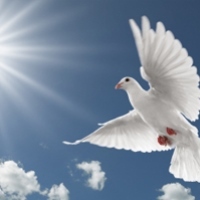 Planakis, Efstratios, age 77, of Fort Lauderdale, Florida, passed away on February 7, 2019. Efstratios, is survived by his son, Andres Planakis (Beth), daughter Clare Winkel (Chris), grandchildren, Chloe and Nikos Planakis, and Lucas and Alexandra Winkel, sisters, Efstratia Rigakis, and Koula Manousaki. Funeral Service will be held Tuesday, February 12th at 12 o'clock noon at St. Demetrios Greek Orthodox Church, 815 N.E. 15th Avenue Fort Lauderdale, Florida 33304. Interment to follow, in Evergreen Cemetery, Fort Lauderdale, Florida.